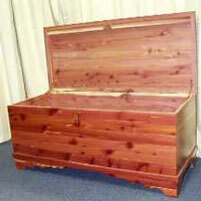 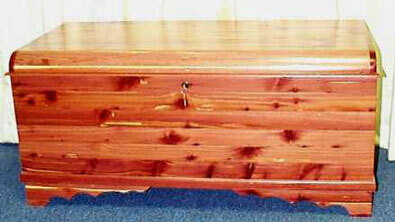 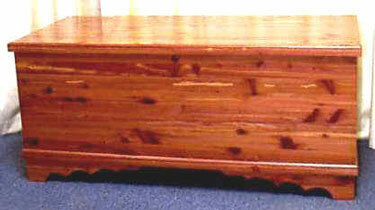 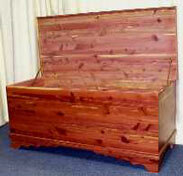 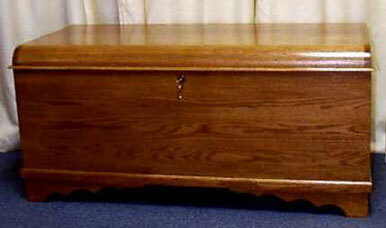 All chests have a key lock, spring loaded support, and a cedar bottom unless you specify otherwise. 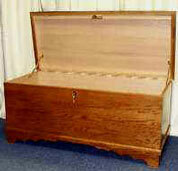 A matching bottom of oak, cherry, walnut or elm may be ordered instead of cedar. 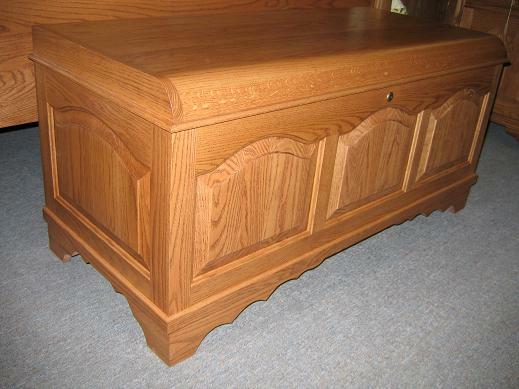 Great for wedding and anniversary gifts! 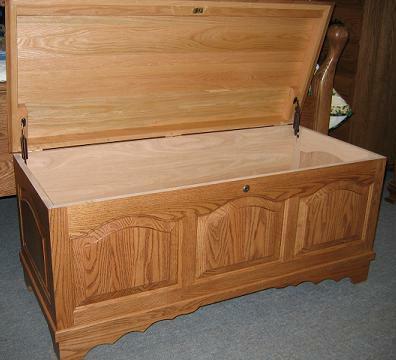 Decorative Front or Top Pieces are available for an additional $144 per panel.